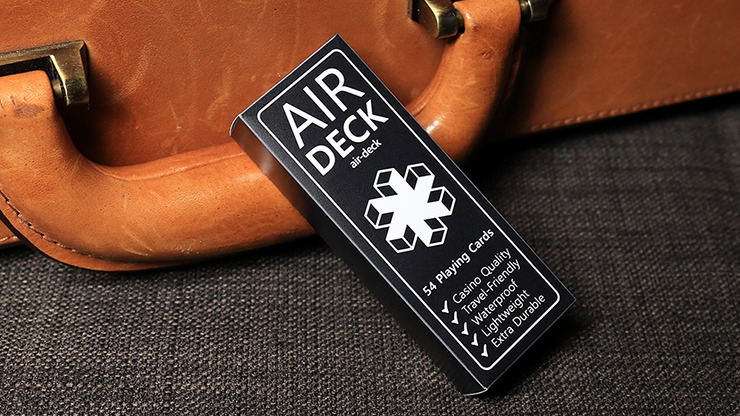 Fresh off a successful Kickstarter, the ultimate deck of playing cards, designed travelers for the discerning traveler, Air Deck is the deck you need when you are on the go! Regular decks can take up a lot of space on an airplane tray table as well as stain, rip and bend easily. Not so with Air Deck. These minimalist decks can fit on the smallest travel surface and are made from casino quality PVC to make them resistant to staining, ripping and bending. Even better, it makes them waterproof! Heck, you can play cards in the shower! So next time you hit the road, or the showers, make sure you have a deck made with you in mind. Buy your Air Deck today!